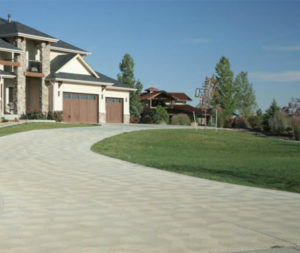 If you have some issues with your Paver Sealer Houston services, you might be looking for better products and services. Are you beginning to see that your unsealed pavement and pavers are showing some major signs of wear and tear? If so, you may not know what to do with this and now you’re scrambling for a solution. Instead of worrying incessantly over this, lean on the professionals you can trust. The TSSPRO Sealant is actually what you’re looking for, and our team is more than happy to offer it to you. Concrete pavers are one of the first things that people see when you’ve got a residential or commercial building. Because of this, you’re going to want to makes sure you keep this virtual welcome mat in the best possible condition at all times. While pavers are very durable and strong, you’re going to need to keep them maintained to retain their natural beauties. In a city like Houston, this can be very difficult at times. The extreme weather we experience can cause deterioration and discoloration if you don’t seal your paver. Unsealed pavement can really be susceptible to stains and other forms of deterioration. These can add a great dynamic to the exterior of your home or business, but you’ll have to keep up with it to get the most out of its look. Unsealed pavers can stain very quickly and easily. The climate can cause it to deteriorate, and other factors such as nearby ponds or foundations can also be negative influences. Even small things such as wet leaves can have lasting negative effects on your surface. Because of this, you’re going to need to make sure you get the most out of it by cleaning and sealing it. Cleaning and sealing is something you can do to make sure you get the longest life out of your pavers. Before you apply a sealant, you’re going to need to make sure you remove all of the dirt, grime, debris from your surface. Failure to do this will mean that you’re going to be sealing in contaminants, which may defeat the entire purpose of this process. Failure to properly clean your surface before sealing it can have lasting damage. Investing in the right Paver Sealer Houston is the perfect way to ensure that you get the most life out of your pavers. Even though this is something that only takes a day or so to complete, it’s a great way to ensure you won’t have to deal with early replacements. Applying a quality sealant can help you get the most out of your pavers and help them withstand the test of time. Our professional TSSPRO products are perfect for this exact reason. Over the years, our sister company in Texas has worked with numerous customers and companies. During this time, we’ve noticed that certain entities just don’t have what it takes when it comes to sealants. Even some of the “big names” in our industry still put out low quality acrylic sealants that just simply don’t get the job done. As a result, both customers and employees alike become frustrated because all they do is make the process worse. After having enough of this, our team decided that it was time for us to go to the drawing board and figure out our solution to this. After a period of brainstorming and consulting with some of the brightest minds in the industry, we came up something we could be proud of. Today, we are proud to announce that we have a complete line of TSSPRO sealants for everyone to enjoy. These are all-natural, alcohol-based sealants that can be used on a variety of different surfaces and stones. They’re perfect for a medley of different situations, and you can count on them to withstand the test of time. Whether you have flagstone, travertine, quartz, or something entirely, you can count on us to provide you with solutions for your circumstance. No two materials and situations are alike, but we’ve got a stable of answers for our customers to enjoy. Make sure you reach out to us when you need to properly seal your surfaces. We have a wide variety of different sealants and processes we use to help customers get the most out of their flooring. As you can see, it can be tough for a non-expert to know what exactly what to do about it. Are you beginning to realize that you don’t know what to do about this and you’re ready to start reaching out to professionals? If so, our experts can help you during every step of the way. We understand how to handle problems like these, and we’ve worked on a wide variety of surfaces. Call us today to discuss how we can provide you with solutions to your dilemmas. We’re ready to help you seal your surface! When you’re looking for the right people to handle your Paver Sealer Houston predicament, count on Texas Stone Sealers. We have the best products and top notch professionals to help you properly apply them. For more information on our services, don’t hesitate to give us a call at 888-958-0556. Our team of experts can give you more information on what we do and provide you with a consultation that will clear up your view on your problems. Together, we’ll be able to come up with a solution that maximizes the look of your flooring. Houston’s unique layout includes numerous museums, theaters, galleries, and centers for performances. We have one of the most thriving theater districts in all of America. The Catastrophic Theatre is a local hub for experimental art. As a nationally renowned theater, we highly recommend this to visitors of Houston. Are you an avid fan of professional sports? If so, we think you’ll greatly enjoy coming to Houston. The Rockets, Texans, and Astros are only a few of the professional organizations that we host here in our city.